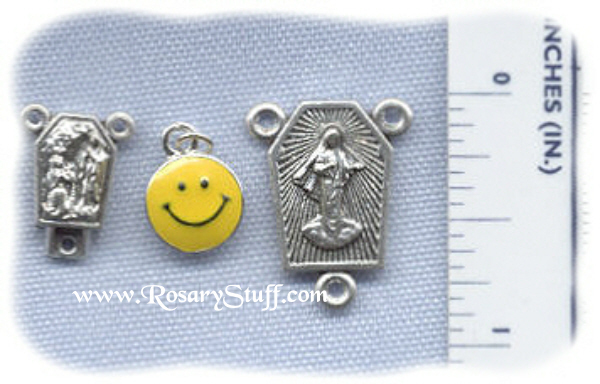 This silver plate and enamel, yellow smiley face charm is a little over 3/8 inch wide by 1/2 inch tall including the ring. For size clarification, the picture also shows a ruler along with one of my largest and smallest centers. The price is for 1 charm.